Et voilà ! I just changed the world! Haha! Nothing less! 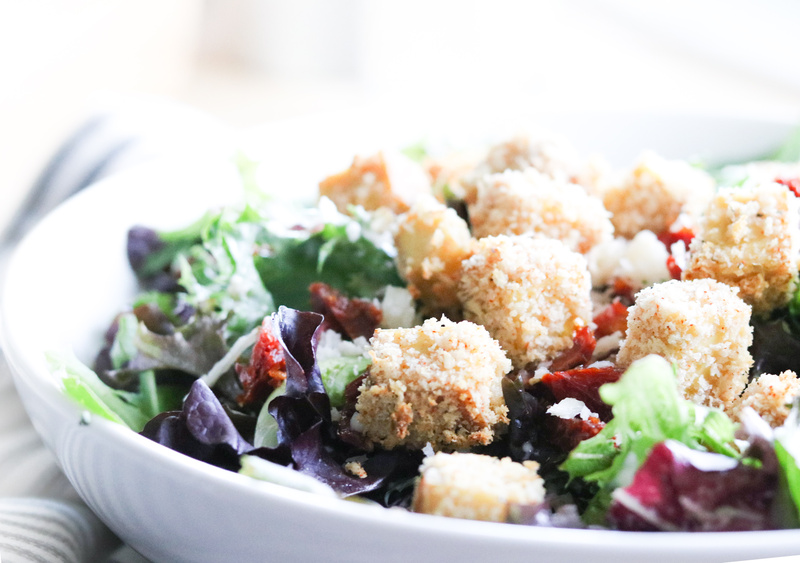 On one side you have the unfortunate bread croutons that you can add to your salad, but they barely have any nutrients or proteins. While on the other side you have the delightful crispy tofu croutons that will fill you up in no time and that are packed with proteins! Honestly, the choice is pretty easy on which to choose! 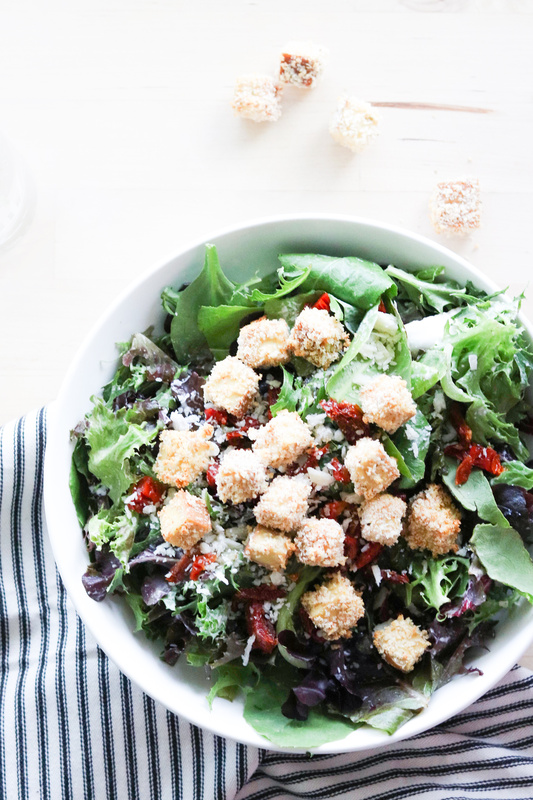 My crispy tofu croutons are so tasty and perfect for your salad. You can also use them anywhere you want to, like on your poke bowl, or even served with steamed veggies. The sky is the limit baby! Diced the tofu into cubes of 1cm. In a bowl, stir in the water and the flour until well combined. In another bowl, add the panko breadcrumbs, the garlic powder, the paprika, and the dried oregano. Mix well and season with salt and pepper. Dip the cubes of tofu into the 1stbowl with the water and the flour, and then drop it into the bowl filled with panko. On a tray lined with parchment paper, add the coated cubes of tofu and bake in the center of the oven for 12 minutes or until the croutons are golden.